Halloween Mega Multi-Author #Giveaway With #FREE #Ebooks For All Readers! The month of October is full of awesome giveaways and free books. The Halloween Mega Giveaway started today and is featuring over 30+ authors. This event is hosted through myBookCave.org and to make things even better there will be a Facebook event set up for the 26th including even more authors with giveaways. Make … Continue reading Halloween Mega Multi-Author #Giveaway With #FREE #Ebooks For All Readers! It’s September 20th, and it's my day to share my link to this special event. What is this event? It is an event put together by AOTA that gathers Sci-Fi and Fantasy fiction authors together to offer readers FREE ebooks. The purpose of the event is to help readers find more authors that write awesome … Continue reading #ArtoftheArcane ~Autumn Sci-fi & Fantasy Fiction Giveaway! 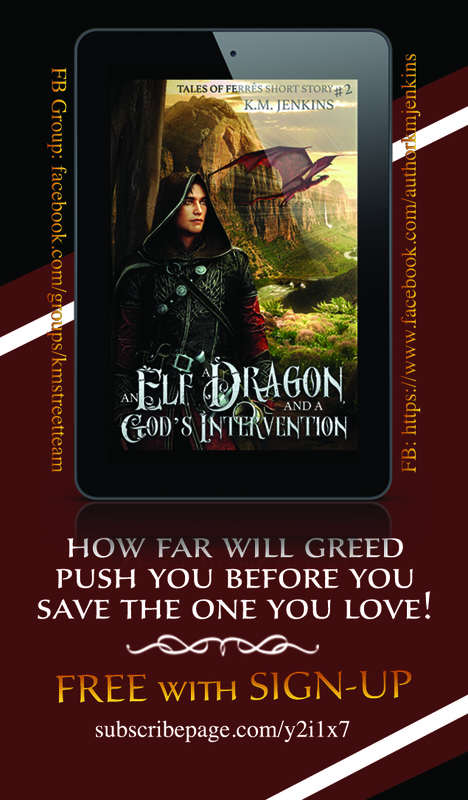 NEW RELEASE: An Elf, a Dragon, and a God’s Intervention! It's release day for An Elf, a Dragon, and a God's Intervention. This is story number two in my Tales of Ferrês story series. It features one of my favorite dragon ryders, Blake and his dragon Meisha. For more details check out the information below. 🙂 An Elf, a Dragon, and a God's Intervention Tales … Continue reading NEW RELEASE: An Elf, a Dragon, and a God’s Intervention! Happy Friday everyone! Today I am happy to announce that my short story, An Elf, a Dragon, and a God's Intervention is up for Pre-Order. It is scheduled to be released September 20, 2018. The details follow... An Elf, a Dragon, and a God's Intervention Tales of Ferrês Story #2 Blake and Meisha spent years … Continue reading PRE-ORDER YOUR COPY TODAY!